Making lattes at home is a great way to save some money, especially if you’re a regular at your favorite coffee shop. While you do need to own an espresso machine, there are plenty of affordable ones out there. Before purchasing a Saeco super automatic espresso machine, Evan and I had a Cuisinart machine and a DeLonghi; both were more reasonably priced and good machines. If you’re interested in super automatic espresso machines, I’d highly recommend Saeco machines. The one we own is several years old now, but there’s a newer version that looks very similar to the one we have. 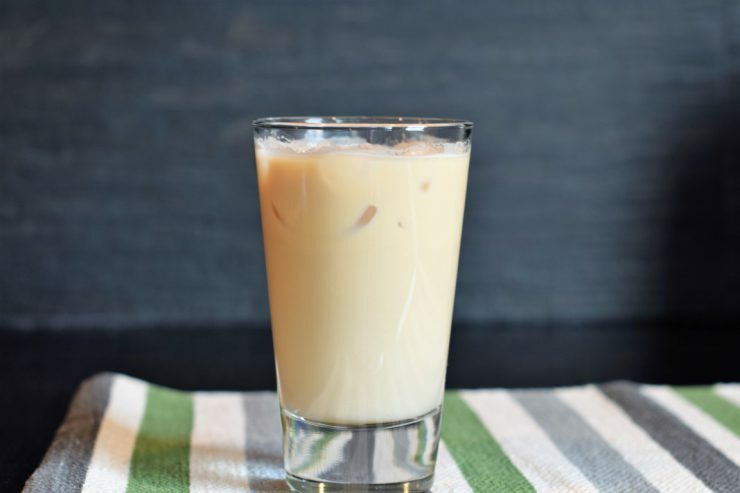 To make an iced latte you need only four ingredients: espresso, milk, ice, and flavored syrup (unless you prefer unsweetened, then just stick with milk and espresso). First, prepare the espresso. Depending on what machine you’re using, you may need to grind the beans, use a tamper to firmly compact the espresso, and brew. 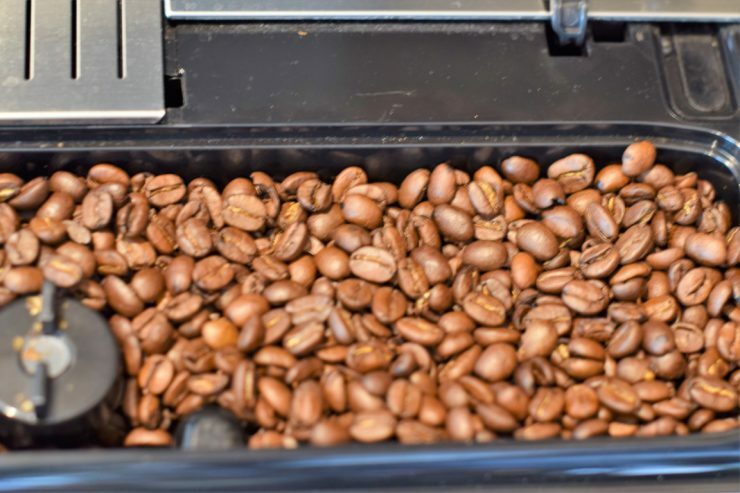 If you don’t own a coffee grinder, there are numerous options out there. Several years ago, I owned a very basic coffee grinder and used it to grind espresso beans. It worked well, but then Evan and I upgraded to a conical burr coffee grinder. Regardless of which grinder you use, be aware of which fineness setting you’re using and make sure to use a fine ground when brewing espresso. Or if you have a super automatic, just press the espresso button and let the machine do the work. Have I mentioned that I love our espresso machine? 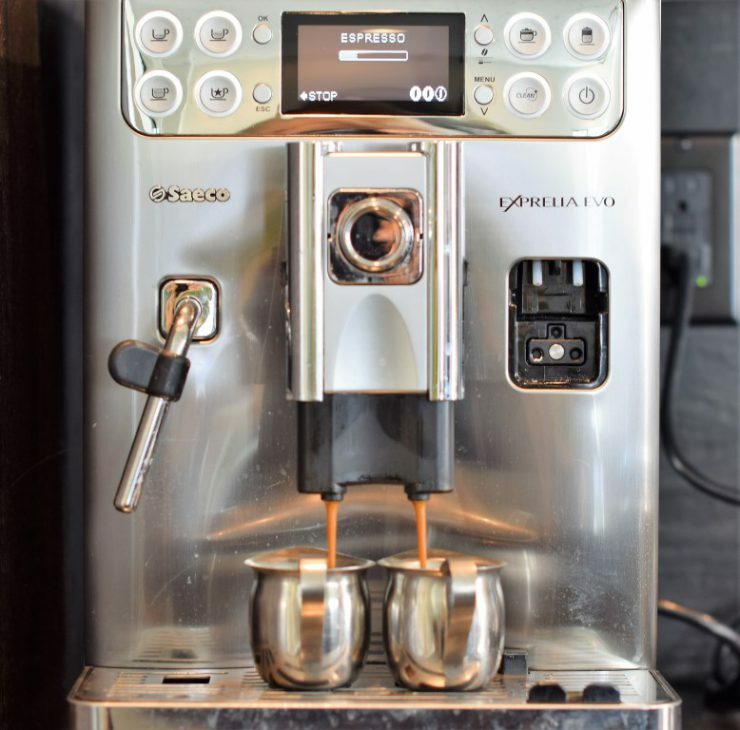 We really enjoy making lattes and cappuccinos every morning and our Saeco makes it so easy. While your espresso is brewing, add whatever flavoring you’re using (if any) to a tall 16 ounce glass. Then add in enough milk to fill the glass about 2/3 of the way full. Once the espresso is ready, immediately add it to your glass. Finally, carefully add in ice to fill the glass. 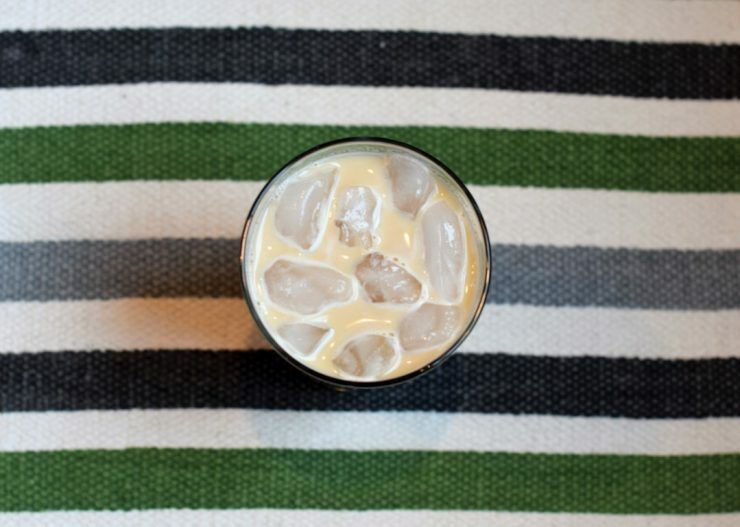 Following this order is important so you don’t end up with watered down iced lattes. You want to avoid adding ice first and topping with espresso so the ice doesn’t melt. 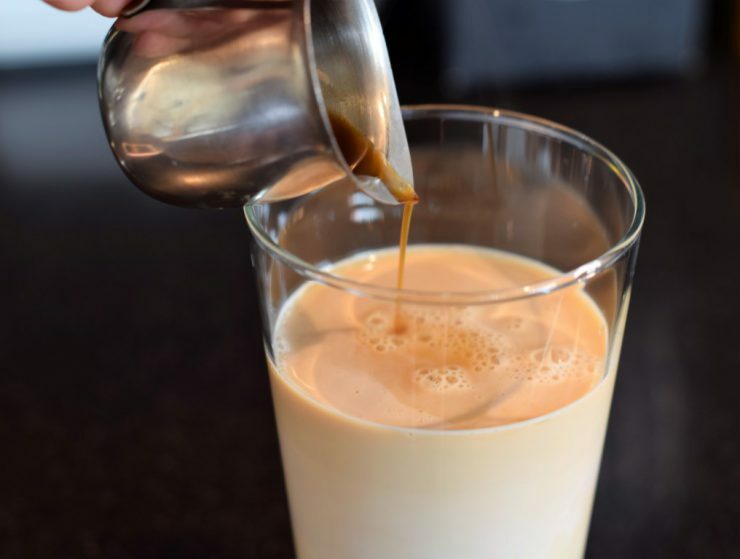 Adding the espresso to the milk helps reduce the temperature, so when the ice is added it’s not submerged in hot liquid. Give the glass a quick stir and enjoy immediately! Next time you’re craving some caffeine, try making a latte at home instead of running the coffee shop. 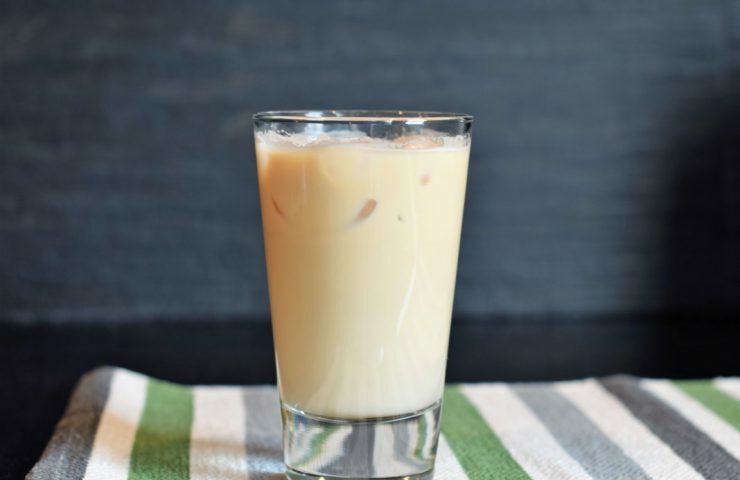 Get creative and experiment with syrup combinations or steam the milk and omit the ice for a warm version of this drink. Not only is it fun being a barista at home, but your bank account will thank you at the end of the week!